Agneyam is the story of Nangema, a nambodiri woman, forced out of her native home in Palghat by the pressures of poverty, who trudges the lonely and changerous paths of Wayanad and creates a world for herself and her family in that untamed land. She was a real person, not a figment of Vatsala’s imagination. She lived in Wayanad, carved out a life for her, finally when events overtook her, she returned to her native place, Palghat stayed with her daughter and died a peaceful death. Vatsala knew her intimately and was inspired to write the story of her thrilling and tragic life as a novel “Agneyam” Vatsala is one of the foremost women writers of Kerala. In her hands, the real Nangema blossoms into an artistic marvel – a woman born high, but falls into the clutches of poverty; who had the courage to change her life style by shifting to Wayanad and build a life for herself working as a cook, small time shop keeper and finally owner-cultivator of land. An independent and courageous woman and the untamed land which came o her aid. This is their story. But, it is also the story of the bonded labourers, the Kurichias, the original owners of the land, their hapless, craven and poverty stricken-existence. Vatsala weaves this story in her own inimitable, feminine, compassionate, lyrical language, the spectator-writer in complete empathy with her protagonist. The result is a significant literary work important from a historical, sociological and literary perspective, always underlining the woman’s point of view Vatsala has many novels and short stories to her credit- but, this novel stands out for its lyrical language and its powerful portrayal of an independent woman. The translator, Vasanthi Sankaranarayanan is a student of literature, cinema, theater and dance. Her doctoral dissertation is on “Malayalam Cinema, Society and politics of Kerala” A native of Kerala, deeply interested in Malayalam language and literature and women’s studies, this is her third translation of a Malayalam novel, the other two being “Agnisakshi” by late Lalithambika Antarjanam and “Brashtu” by Matampu Kunhukuttan. Early in the morning, on the day I completed writing the novel Nellu (Paddy), there was a news item in the local papers: Naxalite attack in Tirunelli. Verghese who was known to me was responsible for the attack; the victim who had died was the only trader of that place I had expected this to happen. The exploitation of the tribals of Tirunelli had reached levels which were so inhumane and not in keeping with the times. I viewed it as a natural change of the life that had been portrayed in Nellu. Verghese organized the tribals. It was he who infused, for the first time some, political awareness in the tribal population. Even after forty years, though there has not been any follow up in this sphere, the tribals still carry this initial awareness in their minds. For me, there was an unusual inner inspiration to write this novel Agneyam. At the time when I wrote Nellu, I was acquainted with the woman protagonist of this story without actually meeting her. In April 1966, when I first visited Wayanad along with my family the partially completed two storeyed building, in which we stayed, was the one Nangema had built for her son. Before the work on the building was completed, her son became a companion and follower of the Naxalites. An unusually brilliant man, that son is the character, Appu of my novel. The son was jailed. He did not come back to the native place for some time. To Nangema this was a blow and consequently she lost her mental strength, which was her greatest asset. She gave up the farming operations in Wayanad and returned to Palghat, to stay with her married daughter. One summer, before I began to write the novel “Agneyam” she arrived to lock her house up in Tirunelli. I too reached there. At that time I stayed at a Variam, with the inmates who had by then become my friends. For me, the meeting with Nangema became a great mental urge. I knew about her from the talks I had with the people of the place. A woman who had challenged the times she lived in and the neglect shown to women, she was the first real feminist I came into contact with. Her actions were not prompted by principles that govern the Western feminism. In f act, her beliefs cannot be compared with that ideology Nangema of “Agneyam” is a woman who is a soul mate of mine in every sense of the term this is her story you could, perhaps, say that I gave it a poetic and artistic touch. A woman’s birthrights are equal to that of a man or even superior to them, because she is the one who not only nurtures and takes care of her children but also ensures the continuity of the institution of “family” and all the religious and spiritual beliefs. She is not led by the desire to earn money, but she strives for the security and well being of the future generations. A man is slightly afraid and respectful of a woman who thinks and acts in a truthful manner. Men suffer from a kind of inferiority complex. They exercise artificial dominance to cover up this trait, even in the language they use. I am not a Feminist. I am a real woman. What I mean is that I see a dear dividing line between the similarities and differences with men. Sometimes I feel that I am a “humanist”. When I think of the universal order; all the animate and inanimate beings and the perpetuation of life, I get a feeling that a human being is a very small and powerless being, a veritable pauper. Using his brainpower he is constantly fighting with his smallness. In order to prove how trivial human efforts for progress are, the universal power unleashes certain cruel happenings. if the human being is not willing to rein in his brainpower, nature finds a way to teach him a lesson. A black death, an earthquake, a Tsunami, an infectious disease, a change in the nature of times — these are all Nature’s weapons. Human beings die from widespread hunger and disease. The rich try to appropriate the advantages emanating from new inventions and discoveries. I have my own protests against such a system. If a political party believes that the means of survival should be made just and equitable and works towards that, I believe in that party. My dream of an ideal life is one in which all human beings become free, free from hunger and ignorance. Any party which is striving towards such a life is my party. I believe in goodness. I believe in the vision of India. I do not wish to be a follower of any Semitic religion. Real Hindutwa is one where compassion merges with enlightenment. I do not have any wish to see it turning into an organized, institutionalised religion. Perhaps that is the reason why the vision of Upanishads is very dear to me. No one has set any boundaries to that vision. The landscape and beliefs of the people of Tirunelli in Wayanad are quite special. It is a small village surrounded by mountains, their summits rising high giving the impression of sentinels; so many streams filled with water, the pleasant, cool breeze let loose by the forest and no excess rain or fog; when the wind and the rain reach this inner courtyard, it takes a long time to reduce their vigour. Human beings and wild animals live in mutual understanding. In this set-up the day-time is for the human beings and the night for the wild animals. At night, a wild elephant or a fierce leopard may visit your courtyard. They may sieze one, only one, of your domestic animals. You may hear the intimate conversation between the he and she owls who have built their homes in your roof and inhabit that place; you should not raise your voices; switch on the lights; open the doors; there is nothing to be afraid of; the leopard who is tired of eating the meat of forest animals desires to eat the tender meat of a calf; you must allow it to do that. That is all. My vision of life has been fashioned in this place, if you think that I am a voracious reader of books that would be a wrong notion. For me sight- internal and external- and experiences are more important. Vatsala’s novel Agneyam (Born of Fire) was first published in May 1974. Subsequently it was republished in1976, 1981, 1996, 1997 and 1998. This itself proves its popularity with the Malayalam-reading public. Before its publication in the book form, it had also been serialized in the popular Mala5thm weekly, “The Mathrubhumi”. This novel has always fascinated me for two reasons; first, because of its protagonist, Nangema, a fiercely independent Namboodiri woman who carved out a life for herself in Wayanad (North Kerala) against all odds; second, for the style of writing adopted by Vatsala consisting of lyrical and poetic descriptions of landscapes, crisp and pithy dialogues and the intensely emotional narration. I had put up a proposal for translating this work into English to several well known publishers, but nothing concrete materialized. Finally, in October, 2003 the Sahitya Akademy awarded me the contract to translate this book. Why did I want to translate this book? Do I consider this a significant book in Malayalam literature? 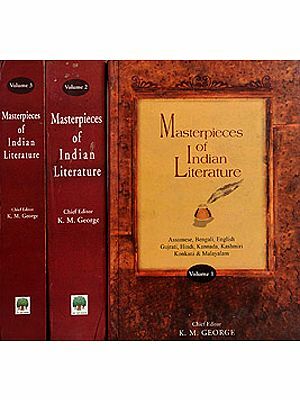 Apart from a personal preference for the book, the other considerations have been that it is a landmark in Malayalam literature not only because of its literary quality but also because of the political and social ethos it deals with; and the significant contribution it makes to women’s writing in Kerala. There are two movements which form the background of this book. I consider them sod and politically important in the history of Kerala. The first is the migration of people from the southern and middle Kerala in search of livelihood to Wayanad, the fertile but geographically and climatically untamed region in the northern part of Kerala. Inclement weather, diseases such as malaria, attacks from wild animals such as elephants, incessant rains - all these were factors which prevented people from settling down in Wayanad for a long period of time. But some adventurous people succeeded in owning large landholdings. These landlords took unfair advantage of the tribals of the region and turned them into bonded labourers. The lives of these bonded labourers were poverty-ridden and miserable. So, when the Naxalite movement came into vogue and certain revolutionaries from the movement strove to make these tribals aware of their rights, severe clashes took place between them and the landowners. The Naxalite attacks were ruthlessly put down and the protagonists tortured or killed. All along there was a fascination among literary and sensitive authors of Kerala for Wayanad, because of its untouched quality. S.K. Pottekkat’s Vishak.aqyak.a dealt sensitively with the theme of the migration of Southern Kerala people to Wayanad. Fertile soil, the rivers with eternal water, lush greenery, thick wooded forests, the brave and unspoiled tribals such as Kurichias (who had played an important part in the single-handed battle that Kerala Varma Pazhassi Raja, a local chieftain, waged against the then ruling British) who were the inhabitants of the place-all these attracted the adventurous, the sensitive and even the rebellious alike. Any book with W4anad as the background fascinates me. The place itself inspires poetic descriptions and mysterious messages. Vatsala’s language recaptures the untouched, mysterious, primeval beauty of Wayanad’s landscape. The other movement which made its, impact on post- independent Kerala was the Naxalite movement. It was a movement of young and disillusioned people against the social and political injustices perpetuated against the downtrodden by the upper classes and castes, even after political independence was won. The violent methods adopted by some of the extremists among Naxalites have come under criticism. But, on the whole, it was a movement which fired the ideals and aspirations of the disillusioned youth of Kerala. As such the Naxalite movement and the activities of Naxalites have the fiery quality of youthful protests, the tragedy of ruthless crushing of non-establishment ideas by dictatorial and authoritarian forces, the disillusionment arising from ideological betrayals fine grist for the literary mill. Vatsala has woven this aspect of Kerala’s political history into her novel with great sensitivity. As a student of history, I feel that a novel touching on these two important aspects of Kerala history is worth translating. From a gender point of view, the theme of the novel is appealing to me as it can be called the biography and autobiography of a woman, Nangema Antarjanam, who defied all the norms of caste, religion and gender, set by the traditional, patriarchal world and strove to make an independent life for herself and her family members. Vatsala informs me that her “Nangema” was fashioned out of a real, living personality. Driven by poverty, in spite of upper class origins (born as a Namboodiri woman), she leaves her small children in the hands of her mother and goes to Wayanad along with her brother. She began her independent career as a housekeeper and cook for her ailing sister, slowly graduated to being a small trader selling essential commodities such as salt and chillies to the labour and tribal women and finally owning a piece of her own land bought out of money saved from her efforts as a trader and a cook.. She supervises the farming work without depending on a man or an overseer. Nangema reminds me of my paternal grandmother, my mother- in- law, my mother and a handful of women, who, in the forties and fifties, when the movement of feminism was just catching on in the western countries, lived and practiced freedom of thought and emotion in their day to day lives. These matriarchs are the forerunners of feminism in Kerala or even in India. Theirs is a remarkable kind of feminism in as much as they managed to practise it without rupturing family life or even without aggressively protesting against patriarchy demanding their rights. In fact they remained the central forces within the family taking up all responsibilities with regard to home and family; yet they managed to keep up their independent thinking and living. Nangema built a small agricultural empire, had her own house, educated her son, got her daughter married.. Then tragedy strikes. Her only son, Appu, following the footsteps of his father, who was a freedom fighter of pre-independent India, involves himself in a movement to fight against the social and political injustices. Even though he was only an ideologue and intellectual, he gets caught up in the activities of the Naxalite group and is jailed. Nangema does not lose courage even then. She tries her best to get him out of jail, but does not succeed. At that point, she who had always lived independently feels tired and dispirited. Even her strong will is affected. She gives up the land, house and farming operations in Wayanad and goes back to her own native place, Palghat. The multi-faceted charisma in the characterization of Nangema is the most appealing aspect of this novel. She is strong and yet deeply and intensely emotional the entire struggle for independence and stability had not hardened her. She remained truly feminine all along. She was moved by compassion for the suffering of the poor, loveless, orphaned and disillusioned human beings. In fact, it is this quality of “love” for all human beings she was connected with which makes her a great protagonist. She has love not only for her family members, but to outsiders regardless of caste, creed and religion. The vulnerability of this strong and independent woman makes her more humane. It is not only her victory over all odds of life that Vatsala celebrates; but, the inevitable tragedy of an emotional woman whose happiness depends not only on herself, but her son, whom she loves intensely The strength and weakness of motherhood has been portrayed in a heartrending manner. Nangema’s is the tragic story of every independent woman who fights against odds. She who succeeds to a very great extent is defeated by her own emotional attachment to her son. It was not a blind love which the patriarchs or even psychologists like Freud have tried to capture, analyse or even immortalize in their works. She alone knew her son and what prompted him to take the path that he took. In fact, even though she does not always see eye to eye with him about the methods that he and his Mends adopted, she understood the need for reform and change in society. Her own contribution to her son’s movement was providing food for. his friends whenever they needed it. Through this act of giving food to the hungry she elevates herself to the position of a “universal mother” (Annapurna) to all those fiery young man. Probably if they had confided in her, included her in their discussions and communicated to her about their ideals and attempts to achieve them, they could have been enriched by her matured wisdom and avoided unnecessary tragedies. Protests tempered by maturity and compassion might have avoided extreme expressions. The celebrated film maker, late John Abraham, in his film “Amma Ariyan” (For mother to know) has dealt with this idea - that if the young rebels of Kerala had kept their mothers involved in their movement, the movement would have become fuller and more meaningful I think of that film as a sequel to Vatsala’s “Agneyam”. Paul Zachariah, in his powerful novel Enthundu Visesham Peelathose (What is the news, Peelathose), makes the women around Christ such as Mary the mother, Mary of Magdalene, Judith etc say to Christ after his death, “If only you had placed your trust in us than in those ten men, the Apostles, we would have protected you”. There is something tremendously powerful about the possibility of sons believing in their mothers or men trusting women (as mothers, wives, daughters, lovers and Mends) and truly involving them in their activities and expressions, instead of maintaining a dutiful or sentimental love. Instead of deification of motherhood which patriarchy revels in, feminism should emphasise on maternal love which is capable of freeing the loved one and giving him the benefit of participatory dialoguic and emotionally enriching friendship and companionship. In creating a character like Nangema, Vatsala becomes the harbinger of such a motherhood. There is yet another aspect of this novel I wish to talk about. It is the language used. The style and structure is basically biographical as well as autobiographical. Vatsala the author is relating the story of Nangema; at the same time, she is making Nangema, the protagonist say her story in first person. So, we have the views of an outsider/onlooker as well as insider/narrator. This gives a special relevance and poignancy to the novel. Many different women are talking to the reader-Vatsala, the woman, the author, the daughter, the wife and the mother and Nangema, the woman, the protagonist, the daughter, the wife and the mother. The success as well. as the tragedy of Nangema’s life touches the chords of the hearts of every woman who has gone through similar experiences at some stage or other in their lives. As for the language, it is like the Kalindi river that the author has described in the novel itself. It has many moods, many tenures, many curves and hidden corners. The sheer poetry of the descriptive passages takes one’s breath away. The dialogues are crisp, powerful and haunting. One could easily make a theatrical play out of this novel. All along, it conceals rather than blatantly reveals the narrative element. The structure is Epic. The story goes back and forth from the present to the past and then back to the present itself. It takes on the form of thoughts, reflections and dreams rather than straight story telling. In other words, it contains the mystery of the forests of Wayanad and the-all-knowing observations of the solid rock, Brahmagiri. The author’s intimate knowledge of the location and people comes through in the novel. In fact, the nature is what gives style and structure to this novel. Brahmagiri and the Kalindi Rock become observers; Kalindi river, suggests the style and the flow; the Kurichias and all the other inhabitants of the place become the narrators or actors on stage. It is document as well as fiction; history and story; life and nature emotion and tranquility poetry and prose; experience and knowledge. In short, it is not easy to categorise or put this novel into a specific compartment. I am extremely thankful to Vatsala for entrusting her “literary child” to me for translation. I am also extremely grateful to Sahitya Akademi for allowing me to translate this significant novel. It would be remiss on my part if I did not mention the editorial inputs given by Ms. Mini Krishnan, Editor and Head of Translations of Oxford University Press, Chennai. She has patiently gone through the entire manuscript and suggested many valuable changes. She has also listened to a word by word reading of the book in Malayalam and helped in “transcreating” rather than “translating” this book. I do not have any hesitation in stating that this book is the result of our joint efforts.